The design created and patented by Cadalpe for its C 6 Turbocooler unit remains the most advanced and sophisticated technology applied to oenology. 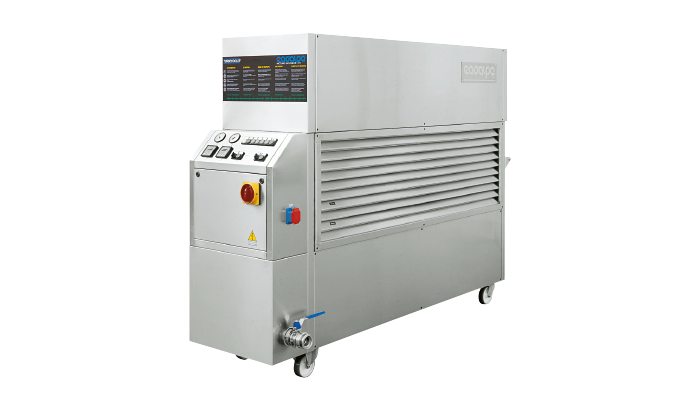 Ideal for chilling must, juice and wine to freezing point, the C 6 is modular and can be combined in series of two or more units to meet the widest range of requirements. It comes with motorized air condenser units with pairs of Scroll airtight compressors using environmentally friendly gas. Especially economical to run, it also offers exceptional operating flexibility and excellent reliability even in the most demanding working conditions.